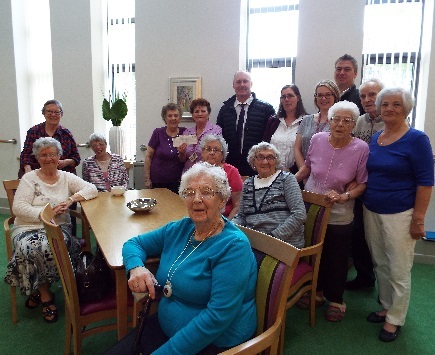 Residents at one of WDH’s independent living schemes raised more than £500 for their social fund with a summer fair. 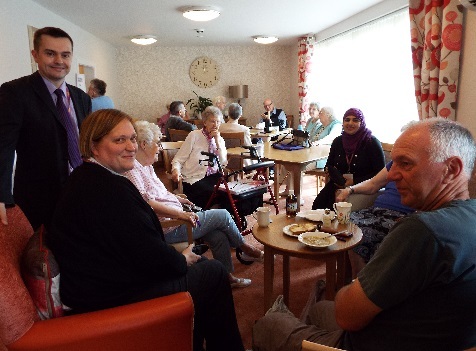 The event at Hatfeild Court in Wakefield was well attended, with tenants being joined by friends, family and residents from neighbouring schemes in Sparable Lane and St Swithin’s Court. 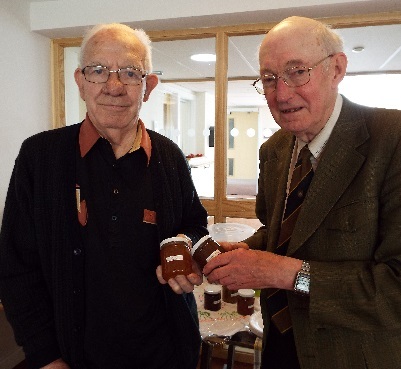 They raised £536 from stalls including cakes, bottle tombola, bric-a-brac and guessing the number of balls in a jar. Soup was served for lunch, after which people enjoyed games of Play Your Cards Right. 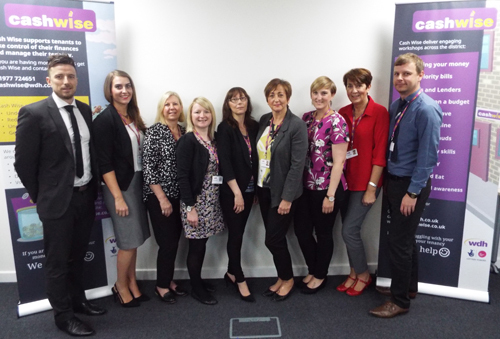 The summer fair, the first since the scheme was modernised, was hailed as a success by WDH Community Support Workers Naseem Ahmed and Nicky Pointon. 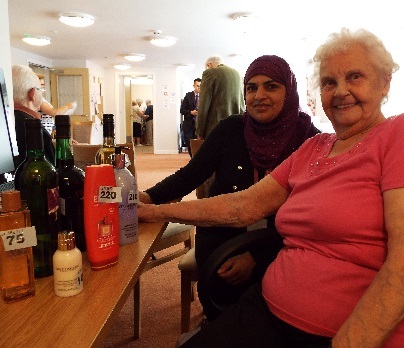 Naseem, pictured above with Jean Kew, said: “The residents wanted to raise money to go on trips, as coaches are so expensive to hire.